Wearing denim overalls can be tricky, especially for someone petite like me. They came back in style around a year or two ago, and I have always been afraid to try this trend. Why? Because if I wear it, it will not make me look stylish, but rather, it will make me look like a freaking seven year old. haha! BUT I think I found a trick to *at least* prevent that from happening. Because let’s face it, even without the jumper, I would still look like a kid because of my height anyway hahaha! Okay, enough with the jokes. Here’s the trick: Wear your denim overalls with a blouse or a crop top, and not a shirt. This will add a bit of maturity to the look, and it lets you have a different take on the normal shirt and jumper trend. I love how this outfit made me feel like a real life Barbie doll! My cousin even told me that I dressed as if I was Donnalyn Bartolome HAHAHA. I wore a white bandana headband to add some flair and achieve a really girly look. And let’s be real, accessories really do complete an outfit! It’s not always about the clothes. Sometimes, it can be about your accessories. I have around one week left of school and I am sooo excited to be done with it! And right when the school year finishes, I will be attending #YTFFManila2016 and I seriously can’t wait anymore! I still need to win tickets though, so I can bring my best friend, who I haven’t seen since January, along with me. I miss her so much. 😦 Wish me luck? This was one of the souvenirs I gave away during the party. It is actually a red velvet cake inside a jar, and it was really delicious! We ordered it from the Sweet Tooth Hub on IG if I’m not mistaken. While I was getting ready, One Sweet Day PH, our event stylist, was already setting up for the event. I told them that I wanted everything to be pink, and I also wanted that the stage backdrop would be similar to the one from Marian Rivera’s baby shower as it was one of my pegs. They did a superb job of styling the event, and I highly recommend that you check them out! They were also the ones who designed the dessert bar and the lifesize Barbie box, and those turned out really great as well! Two thumbs up!! Of course, before the actual event, we had to do a photoshoot so I am now presenting to you pictures of my awkward self! HAHA! But can my hair and eyebrows be as on fleek as this every day please?? Look! It’s the royal family HAHAHAH. And yes, I am an only child. Time for the grand entrance! I think we started the actual event around 8 pm already. I am greeted on stage by the host, Denise Yalung. My mom found out about her on YouTube and thought that her vibes fit perfectly to the theme of my birthday. 🙂 And then it was immediately time for the 18 Ken’s, aka 18 Roses! After that, we went straight to taking group photos by table number. Here are some of them. While the guests were having dinner, my high school friends, Anne and Alex, performed a special song number for me! Anne sang Reflection and Be Alright, and I cannot stress enough how angelic her voice is!!! She is honestly my third fave singer next to Lea Salonga and Ariana Grande. On the other hand, Alex is the one who played the guitar and she is also bursting with talent!!! Up next was the 18 Kelly’s, aka 18 candles. Instead of the usual candle, we used mini fondant cakes instead (because honestly I am really afraid of fire for they can be the cause of big disasters!! haha). Then it was time to blow the candles! After that, I went out of the room to change into my next dress. So my cousin Myka sang three songs for the intermission, and she was later joined by Kayla, a family friend of ours. Once I came back, I performed a dance number with my best friends to the tunes of Problem and Focus by Ariana Grande. Then it was time for the closing remarks. My parents said their speeches and gave me their gift, which was a Pandora bracelet! I honestly did not see that coming because one of those cost a lot of money, but they already knew I wanted to own one for the longest time. Thank you Mommy and Daddy! And thank you also for paying for everything HAHAHA. I also gave my thank you speech at the end of the event, and it was time for the afterparty! ^ A picture of me with Miss Maja, our event coordinator! I decided to include in this post a list of all the people and companies which helped make my dream debut come to life! If ever you’re also throwing a debut or a party, check them out! Ever since I was a little girl, I have always wondered what my debutante gown would look like someday. Before, I wanted a silver embellished gown so that I would literally be the star of the night! It would look something similar to Glinda’s gown from Wicked or Verniece Enciso’s gown during her own 18th birthday party. 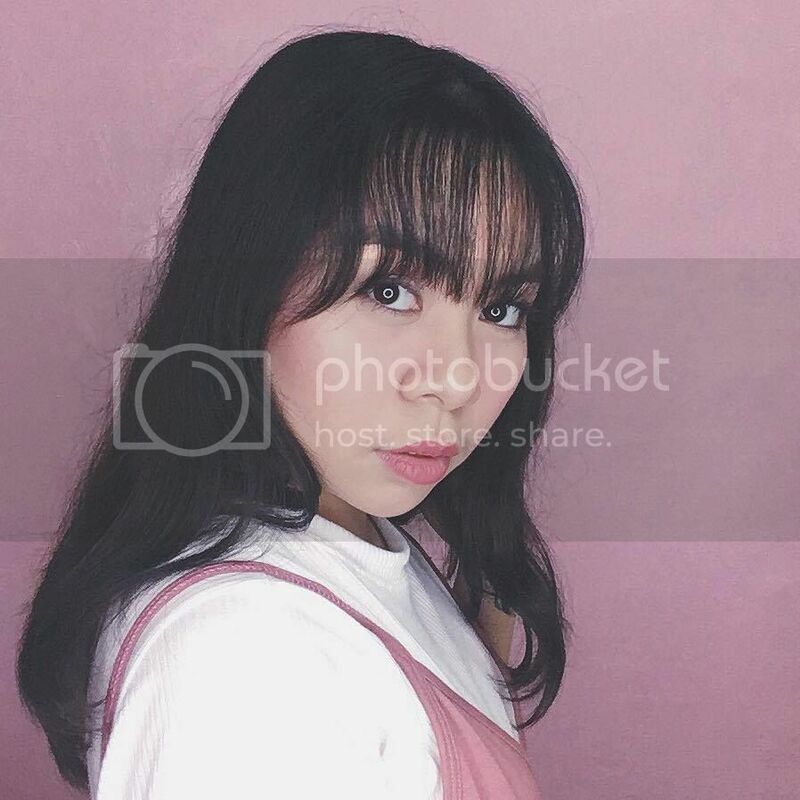 But last year, I decided that I wanted everything about my debut to be in pink, because trust me, that color really defines me, to the point that I am the first person my friends think of when they see something pink. haha! However, I didn’t know exactly what I wanted my gown to look like. Luckily, Patricia Santos, the fabulous woman who designed my gown, came up with a great vision of the dress of my dreams! I am so happy that I chose her because the details she puts into her designs are so beautiful and intricate, and every dress she makes has something unique and special about it. If you didn’t know, Patricia Santos is a young fashion designer, who has made gowns for celebrities like Kim Chiu, Kathryn Bernardo, Zsa Zsa Padilla, and more! I had around 4 to 5 fittings for my dresses and the picture above is from my second one. We also asked Patricia to design a dress for my baby cousin, Julianna, so that she would be my mini-me during the celebration. Her dress turned out to be so cute and adorable! Look at those details though! Patricia also added some laser cut butterflies to the dress to go with the theme of my debut which was Barbie. She also designed this purse to go with my gown! I felt like a princess during my debut, all thanks to the beautiful gown and dress I wore that night. ❤ More #MoiraIs18 posts to come!! !